I’ve started my blog over 3 years ago. I was pregnant with my daughter and Bobcat was about a year and a half old. Being in the early pregnancy I used to worry a lot how will I cope with two children and also though: right girl, this is it, you are going to be a stay at home mum for the rest of your life. Realistically, for at least 4 more years, given the childcare costs and possibilities in London with no family help around. I thought, I might as well donate my brain to some charities, since I studied so hard in my younger years earning a master degree in international economics and politics – let’s not waste that knowledge. But then my husband suggested to start blogging. And so I did, because I thought that would at least keep the cobwebs away and keep my baby brain occupied. So it started. Initially I was blogging about family issues and treated my blog as an online diary which I enjoyed. But soon, then it also started to feel like a duty. Keep adding entries and posts about mildly amusing family happenings and my life. I stopped for a few weeks to sort out things before my daughter was born and I wasn’t feeling well about blogging. I can’t really remember what made me move my blog out of the parent blog category – apart form the fact, that I’m not a cut out mummy blogger and a stay at home mum – but one day I decided to change direction and pursue my true passion with the blog and dedicate it promoting green and ethical lifestyle and helping others on the way, who are interested in making changes to their lifestyle and looking for environmentally friendly and ethical inspirations and ideas. 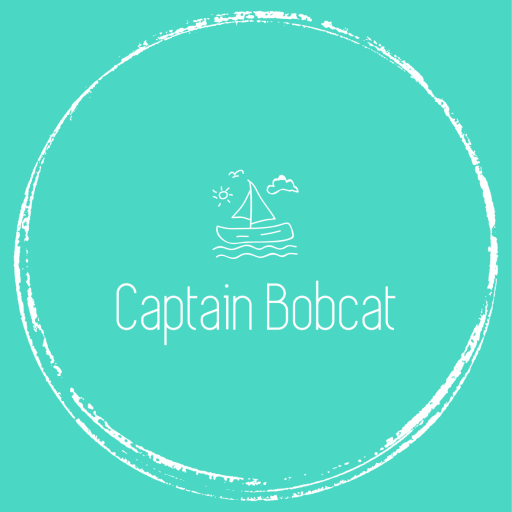 This is how Captain Bobcat Blog slowly became what it is today. Over the last two years I became a professional blogger (this could have never happened without finding a true niche and following my passion!). I work from home, I do what I enjoy and I make money with it. I’d like to think I make a difference and I hope my readers would say that. Go for it! There’s nothing you can loose. It’s a fantastic hobby. Follow your passion. Make it your own. Own it. Only authentic bloggers are followed by real people and we’re coming to the end of the fake “influencer” type of bloggers era. Make a difference and also use your blog to give back. Bloggers must understand their social responsibility. Use your blog to promote a greater good. Fellow bloggers are not a competition. The sooner you understand this, the more friends you’ll make and the more help you will get from the blogger community. I have lots of online friends now and it’s great to have the sense of belonging. Money is not everything. Whilst, yes, it is a good way to make money from home – never compromise your ethics otherwise people will question your authenticity.